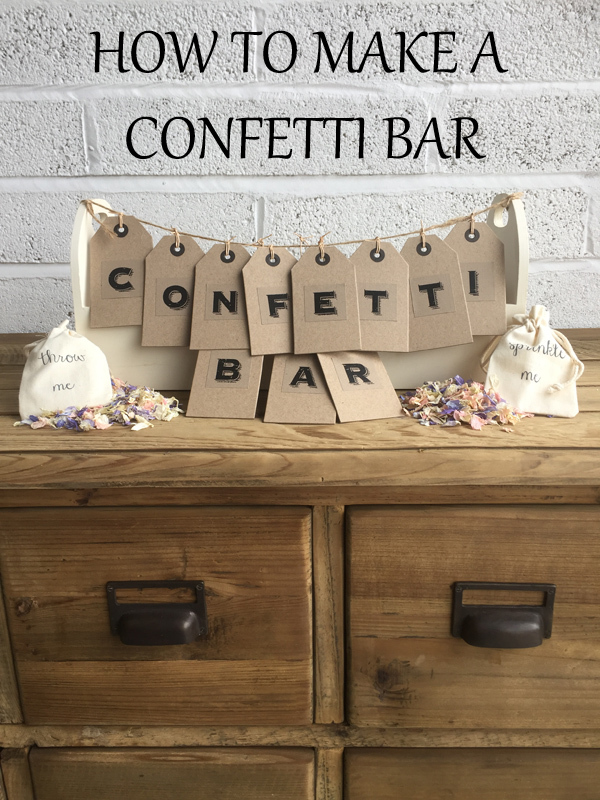 We suggest having a designated table for your confetti bar. 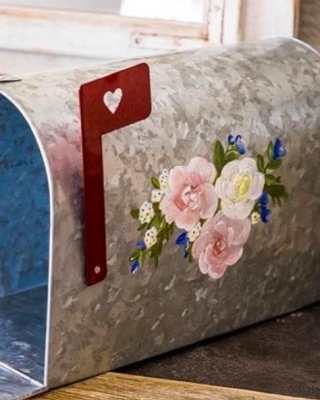 Fill a wooden trug with some colourful confetti. 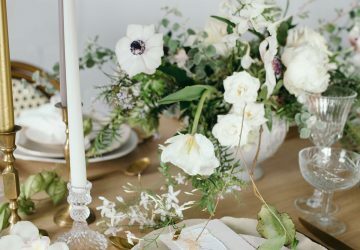 We’ve opted for a gorgeous summer mix, consisting of various pink, purple and ivory petals. 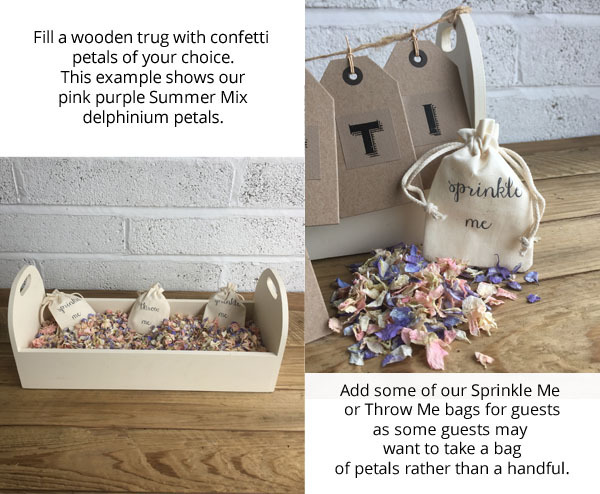 Our Sprinkle Me and Throw Me cotton bags are a lovely addition for your confetti bar, and you can offer them to guests if they’d rather take a bag of confetti. 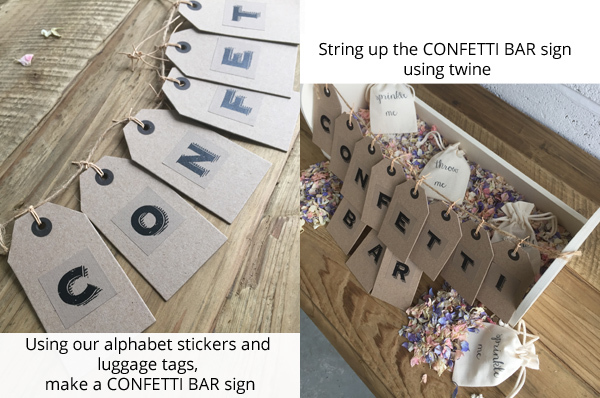 Using the luggage tags and alphabet stickers, spell out ‘CONFETTI BAR’ and attach each luggage tag to a piece of twine ribbon. 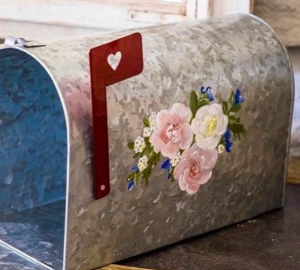 You’ll need to measure the length of the wooden trug, so that you can tie the twine ribbon to each end. 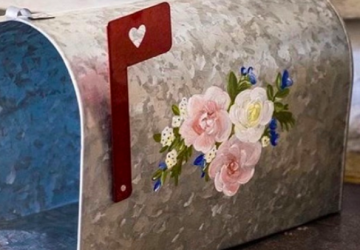 This will let your guests know to help themselves! 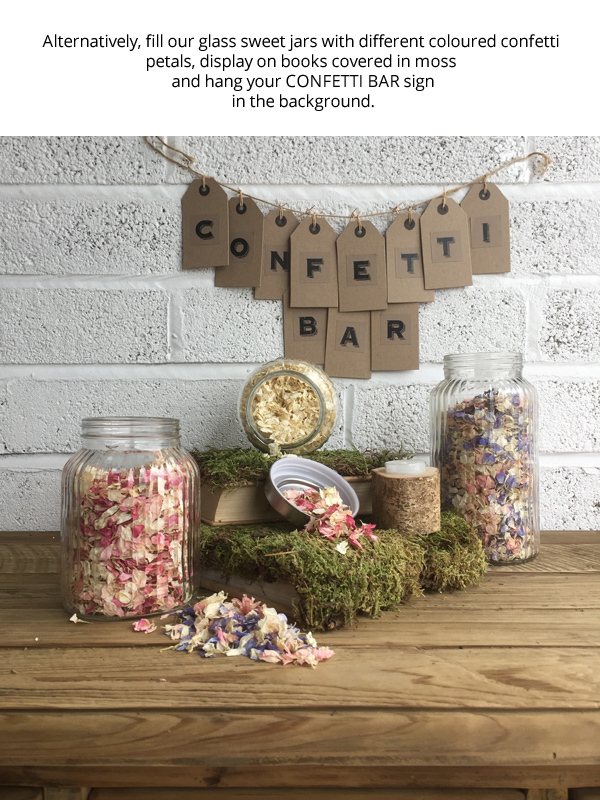 As you can see, a confetti bar is super easy to create but it’s a wonderful addition to your wedding day. 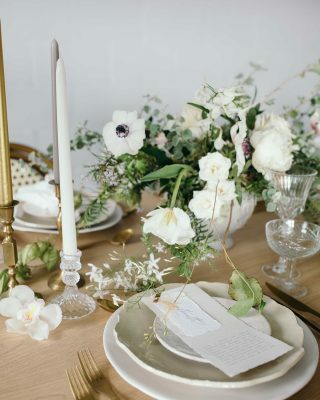 You could add a rustic touch by covering a wooden crate or vintage books with dried carpet moss. 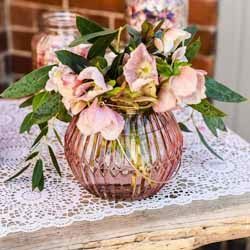 Glass sweet jars in various sizes can also be used to hold different colours and types of confetti. 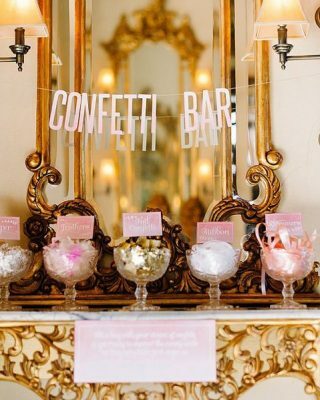 Simply hang your CONFETTI BAR sign above the glass jars or as a backdrop. 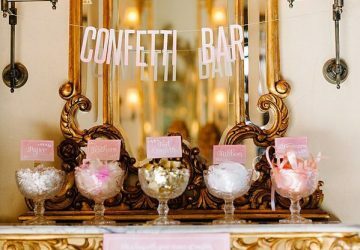 Wedding confetti bars are predicted to be a huge trend for 2017 weddings. 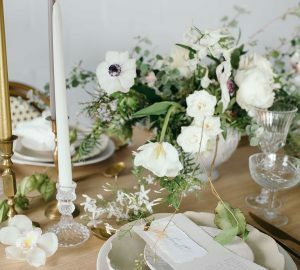 Guests adore the ‘self-serve’ element, and it can definitely add a fun touch to your big day.